Florida Farm Bu reau members can take advantage of significant discounts on burglar, fire, and medical alarm monitoring and supervision with Security Safe Company. Security Safe Company offers Florida Farm Bureau members discounted monthly monitoring rates, averaging $18 – $24 (compared to the national average of $34.95). Get started with a complimentary initial home or business security evaluation! While Security Safe Company can reprogram and monitor many existing systems, new installations are eligible for an additional 10% discount. Florida Farm Bureau members also save 20%* on all safe lines, including a complete line of gun safes, personal safes, floor safes, and commercial and deposit safes. 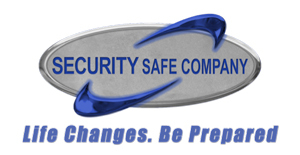 Security Safe Company sells, delivers, installs, and services all of its safes. Please visit SecuritySafe.com or call 1-800 -338-5088 for additional details or to speak to a sales representative. As one of the state’s premier burglar and fire alarm contractors, Security Safe Company has proudly provided Floridians with the finest residential and commercial products, friendly, professional, award-winning service since 1985. * Other discounts and promotions do not apply to or in addition to this promotion.